Be clean and up to date with your wheels and tires as well and make sure you take care with some love for, even sometimes, the most expensive accessories on your car... Alloy, Magnesium, Light-Metal etc... everything is possible with this complete kit of gentle items which will clean, protect, shine and enhance your wheels and tires for sure. 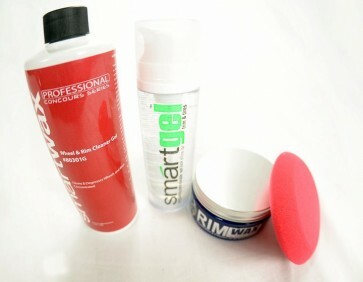 At Smartwax, Evolution in Car Care, we believe that smart people deserve smart products. We set out to engineer a new generation of professional grade autodetailing products that deliver results, are easy to use, fast and effective, look good, smell great, clean, protect, prolong and enhance the appearance of your auto, truck or boat.